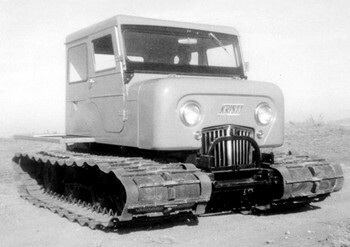 Built in 1964, the KT-4G was the start of a new generation Kristi Kat. Built without the patented "Ski Action", this Kristi was also the first to have a water cooled Chevy inline six cylinder engine. Only two KT-4G were built and sold to the Bonneville Power Administration in 1966. Click the serial numbers to the left to view the KT-4G in the registry. If you have a KT-4G and would like to add to the registry, just email us.